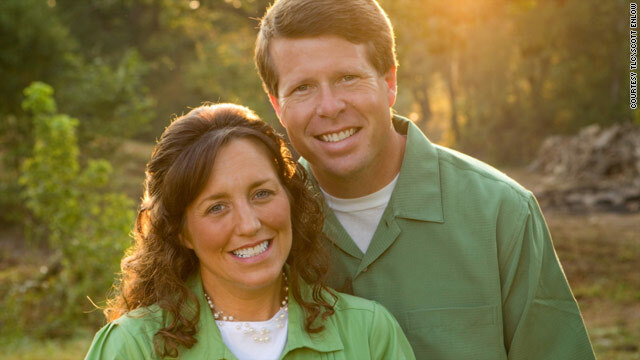 Michelle and Jim Bob Duggar are "grateful" for the support and prayers they've received from around the country. The Duggars' premature baby is doing "as well as can be expected"
Jim Bob: "This is difficult, but we're leaving it in God's hands"
(PEOPLE.com) -- Michelle Duggar told PEOPLE she is cherishing every moment with her premature 19th child, Josie Brooklyn, who remains hospitalized at the University of Arkansas for Medical Sciences in Little Rock. "Josie is doing as well as can be expected for a baby at her age. We are taking each hour as it comes," Michelle said, who has been released from the hospital. "We feel so blessed that God has given us to her and are cherishing every moment with her." Josie was born on December 10 weighing 1 lb., 6 oz. Michelle, who had been in the hospital recovering from a gallstone, was taken to the operating room for an emergency C-section. Her husband Jim Bob Duggar remained by her side. Michelle's doctors said the baby was born prematurely because Michelle suffered from preeclampsia, a rare condition during pregnancy that causes high blood pressure. Jim Bob says the family is "very grateful" for the support, love and prayers they have received from around the country. "God's will is what we would choose if we knew all the facts. Our children's spiritual maturity is going to deepen so much through this, in a way that couldn't happen any other way," he says. Jim Bob added, "This is so difficult, but I know that we are leaving this in God's hands." PEOPLE.com's Alicia Dennis contributed to this report.